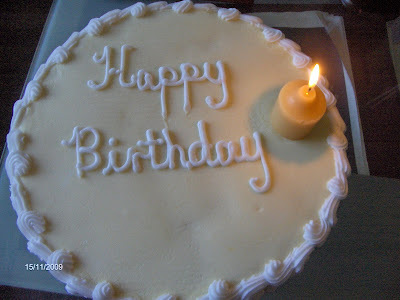 Village View Post: HAPPY BIRTHDAY VILLAGE VIEW POST!! Today is a very special day. Guess whose birthday it is? Village View Post is 1 year old! That's right, I did it! That means it IS possible, and that also means YOU can do it too. After setting aside writing projects for years, half-finishing things and never sticking with anything for too long, I have managed to write and maintain this blog for an entire year. A whole year! Writing can be a huge task, but it's not an impossible one. If you truly want to write, you need to sit down and just write. Don't let anything stand in your way, just write every day! Throughout the last year I have received a lot of encouragement and beautiful comments and I thank you all. For those of you who just started reading this blog, welcome! I am so happy that you have joined me from all over the world as we continue our journey to find ways to bring you updated and relevant information on Crooked Tree Village, Belize and beyond!! Thank you all for reading; I appreciate having you all to share my BELIZE. Congratulations, cheers to another year!!!!! Congratulations on a job well done - keep up the good work. I would like to say a big thank you for all you have done for us Belizeans that think we don't need to know what is going on in our community and our country Belize, and most of all thanks to you and your sisters in Belize for putting together a little reunion tomorrow with my dad celebrating his 89th ...Birthday with the rest of his surviving brothers and sister.And to you a big CONGRATULATIONS ON YOUR FIRST 1 YEAR ANNIVERSARY OF VILLAGE VIEW POST!! Congrats. Keep up the good work! Thanks for keeping the Belizean people at home and abroad informed for the pass year, and looking forward to many more years from you. Linda Happy Birthday to Village View Post. It is a great blog and forum. I wish you many more years of keeping us informed. You have gained a great friend and follower. Congratulations on the first anniversary of your blog. I'm so proud of you. I admire your tenacity. Congratulations Linda!!! Thanks for keeping us in the loop with the current events in Belize and your travels. You are a great writer and the stories keep my interest from beginning to end. CONGRATULATIONS !! And HAPPY 1st BIRTHDAY TO VILLAGE VIEW POST! So proud of You, Linda! Keep up the initiative....and continue being assertive in whatever you do! Hi Linda, keep it going it is always good to read the articles. "Happy birthday" Village View Post, looking forward to many more. I really enjoy your site. Keep up the good work. Congratulation, I am so happy it's your Village View Post's birthday. May the Good Lord continue to bless you Linda. Happy birthday Village View Post. To Linda I would like to say Congratulations on your one year Anniversary.Keep up the good work! Because of you I learn a lot more about my country, thank you. Happy Birthday to Village View Post. Looking forward to many more years of reading. All the best Linda! You truly have been "unBelizeable" over the past year. For the insightful, humorous, and arresting articles/comments that you have shared. Your uniqueness and creativity shines through -as you are not afraid to tackle the "sticky" issues (both political and social affecting the village of Crooked Tree and the nation of Belize). Congrats. You do a wonderful job keeping us informed. Congratulations is in order, thank you for hanging in and making it happen praise God from whom all blessings flow. Be blessed, God is good. MS. LINDA, FIRST, ALLOW ME TO CONGRATULATE YOU ON YOUR SUCCESS AS A WRITER. YOUR ARTICLES ARE ALWAYS INTERESTING. Congrats on the birthday of your blog. Thanks for the hard work. A big "Thank You" to all of my blogging friends and readers out there for all of the wonderful comments,and e-mails. The blogging world definitely has some of the nicest, most supportive, and loving people. I have never met some of you, but you make me feel like we are one big family. I will continue to push on to bring you the little, but important news and events about Crooked Tree Village, and Belize that you won't find in the main Belize media, one day at a time. Again, I thank you, from the bottom of my heart.